Perfect summer weekends make me feel like the War Boy Nux in Mad Max: Fury Road does when he says, “Oh what a day. What a lovely day!” Feeling me? I did not yet encounter my desired nighthawk, but that’s just fine with me. My favorite birds of this season are always Chimney Swifts flying over the festivals and concerts I fill my summer weekends with. 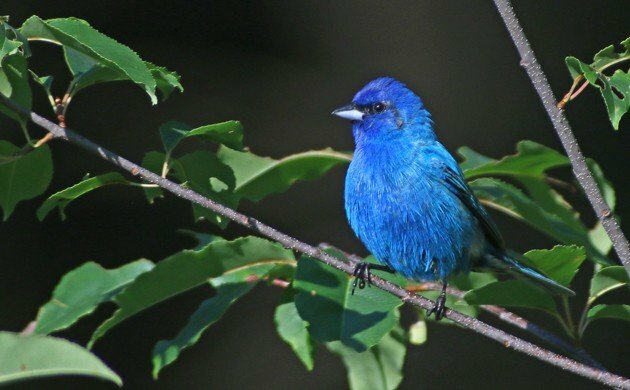 Corey’s Best Bird of the Weekend was a brilliant blue Indigo Bunting along the side of a back road in his hometown of Saugerties. The bird was scolding something down in the brush but Corey never figured what, exactly, had gotten the bird so worked up. Whatever it was, Corey is appreciative! My best bird of the weekend was a beautiful breeding-plumaged female Red Phalarope at Jones Beach. Hear you on Chimney Swifts and love Indigo Buntings. My best was Green-fronted Lancebill in cloud forest near San Ramon – an uncommon hummingbird species usually seen along streams.